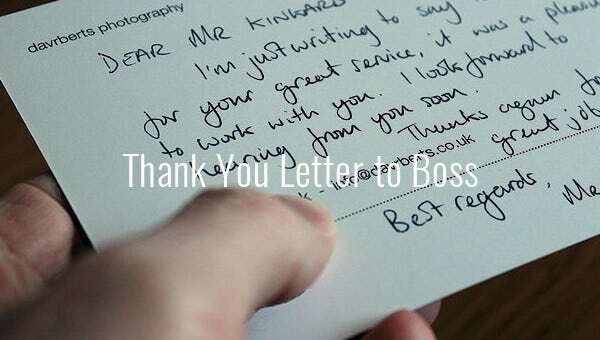 Thank You Letter to Boss – 6+ Free Word, Excel, PDF Format Download! The only person who can lift you up in your work area to measure your efficiency and hard work is your boss. So never miss any opportunity to thank them. 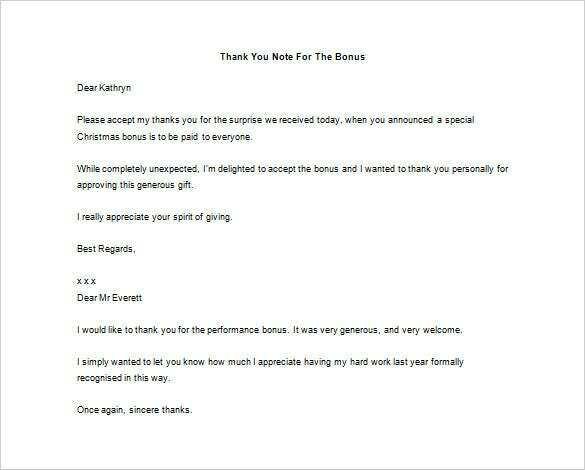 Be it their birthday or simply after being acknowledged for your performance, place a thank you letter on their table. 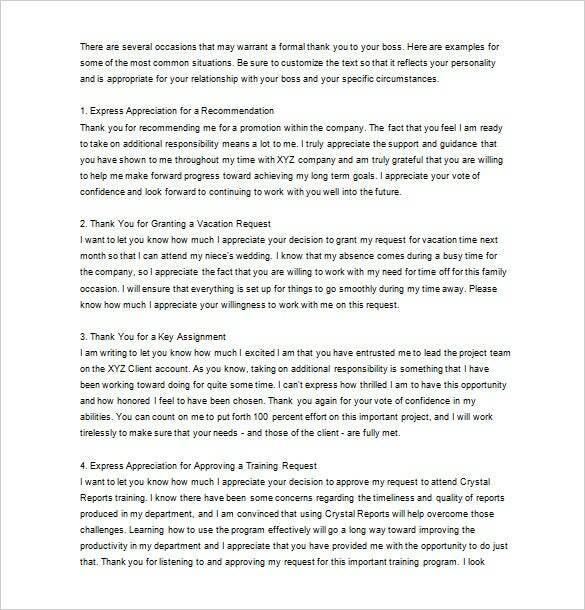 These sample business thank you letters will help you. This letter template will have your address at the top left, then the title, the body and lastly, the thank you. The entire content will be to the left of the page. You can incorporate everything for which you want to thank your boss, but remember to keep it brief. Make sure that you cover all the main points and give your letter entirely that feeling of sincere gratitude. This template will be a very good choice when you want to thank your boss for promoting you. The letter incorporates your heartfelt gratitude and appreciation to your boss for considering you in the most recent promotion. You also must assure your boss that you will keep his trust and work hard to match the expectations. You can reach the free thank you letter templates saying a big thank you to your authority online for free in minutes. They come with free word store in excel, PDF download format. Scale up yourself with the simple and exact formal letters in a jiffy. It is very important to express gratitude to your boss whenever the occasion is right. Be it an annual hike, a promotion, his/her birthday, etc, giving a thank you letter builds a stronger relationship between you and your boss. All the above templates will be perfect for expressing your gratitude and you can simply edit them to include your own words.